Boxing Day is just around the corner and we wanted to give you lots of notice for our upcoming sale and giveaway. 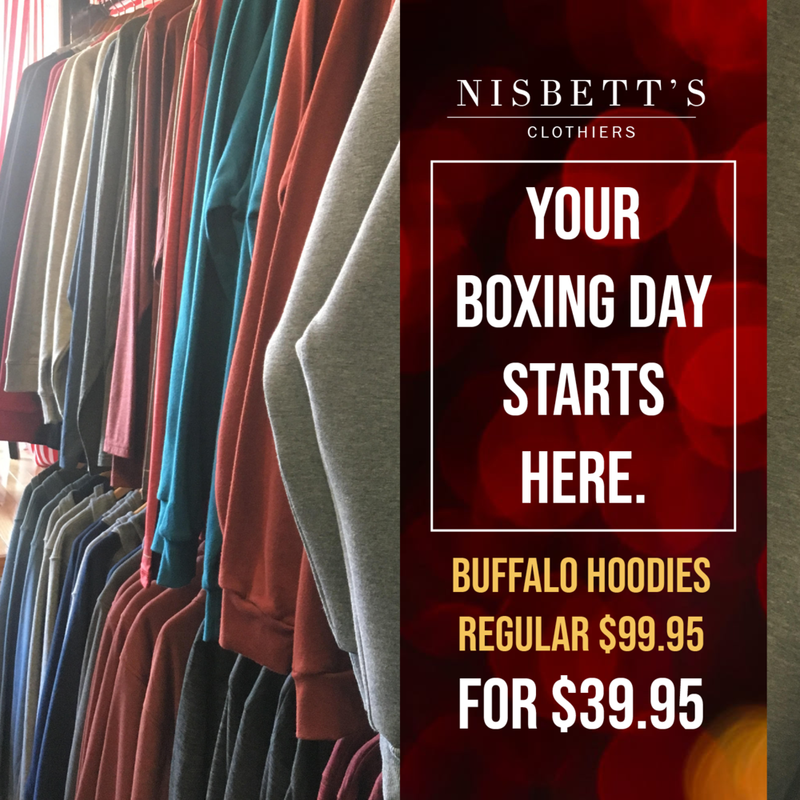 Check out the details below and be sure to stop by Nisbett’s Clothiers to take advantage of all these great sales! Head to our Facebook page to enter to win our giveaway too. Please note: we don't take refunds or exchanges on Boxing Day.